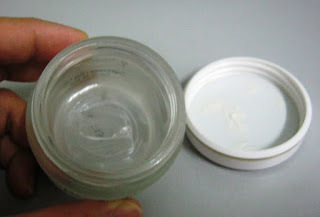 My Day Cream pot is empty. Trying to save by using as little as I can for the last few days, till I can dig no more today. "_"
I am not very particular in choosing my skin care products so long it is not questionably cheap (the quality of very cheap stuff are questionable) and not overly high priced (those that I can't afford). For the last 2 -3 years, I have been using some of the Annemarie Borlind's products. I find their products are of good quality as it claimed. 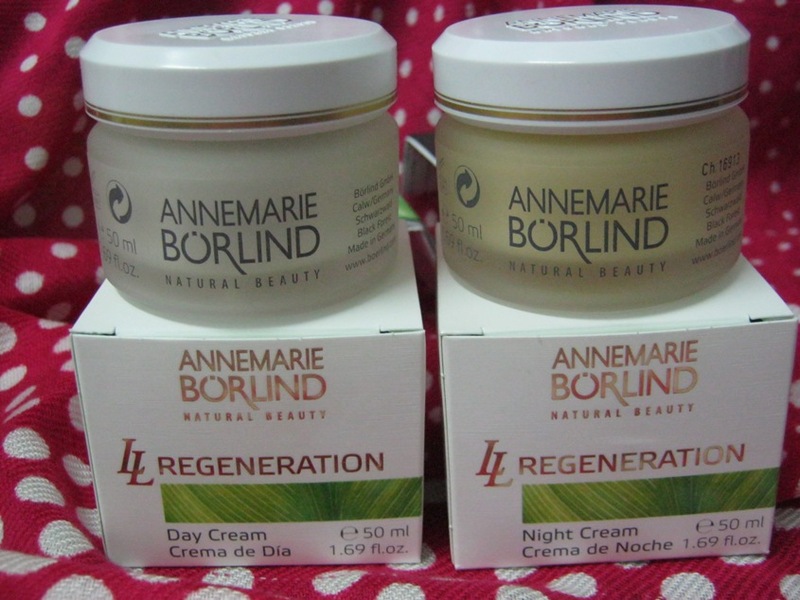 Annemarie Borlind's products are from Germany, The company that I work for is the sole distributor of their products, they are being sold in Malaysia and Singapore. I have tried their Skin Whitening Fluid, Ceramide Vital Fluid, LL Regeneration Eye Wrinkle Cream, and LL Regeneration Day Cream. Today, while replenishing my day cream, I am also adding its LL Regeneration Night Cream into my skin care regime. 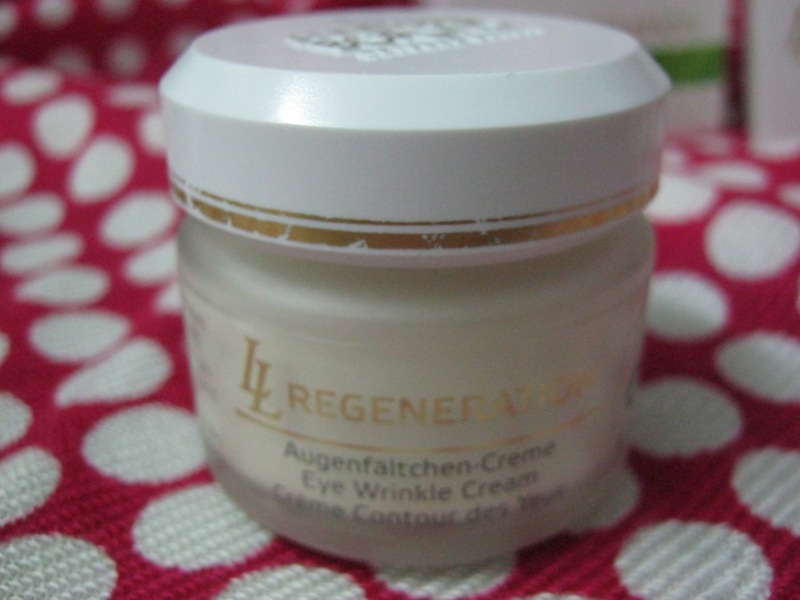 I have been using this LL Regeneration Eye Wrinkle Cream for 2 -3 year now, I like its non greasy and soft feeling each time I apply it. I guess it helps me to control the appearance of the fine lines around my eyes. 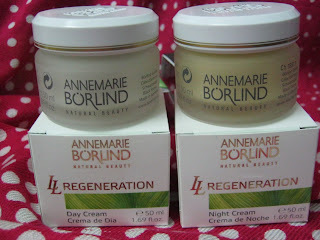 The new pots of LL Regeneration Day Cream (RM213.00) and Night Cream that I bought today. The LL Regeneration Day Cream is an intensive day protection with the highly effective LL Bio-Complex. Proven to support the nature regeneration of dry, poorly moisturized skin. Ideal as a base for makeup. The LL Regeneration Night Cream has valuable herbal extracts and the LL Bio-Complex have been proven to support natural cell renewal and have an oil-restoring and moisturizing effect on dry, poorly moisturized skin. The skin regains its freshness and elasticity. Both are with organic botanical extracts. These products weren't cheap eh! Thanks for the gift, i received yesterday. I really like it. yes..I find the products pretty good. At least they suit me. Annemarie Borlind's, never hear before, hehe..
Glad that they suit you!